Jain vegetarian diet is practiced by the followers of Jain culture and philosophy. It is one of the most rigorous forms of spiritually-motivated diet on the Indian subcontinent and beyond. 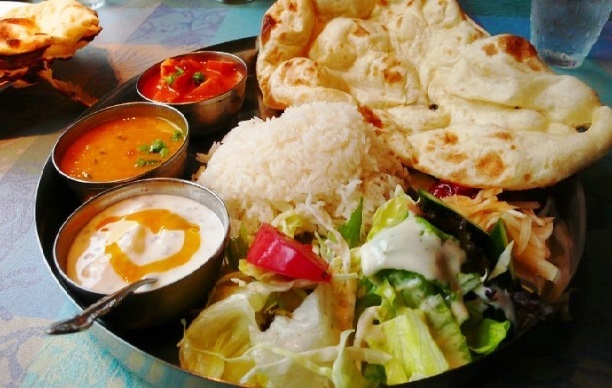 The Jain cuisine is completely vegetarian and also excludes onions, potatoes, brinjals (eggplants) and garlic, similar to the shojin-ryori Buddhist cuisine of Japan. The strictest forms of Jain diet is practiced by the monastic ascetics; in addition to potatoes it may exclude other root vegetables. This food is called sattvic, which means that it is based on the qualities of goodness, lightness and happiness. On the other hand, onions, eggplant and garlic are considered "tamasic" as they are believed to have a quality of darkness, lethargy and a putrid smell. Vegetarians are healthier than people who eat meat. Scientific studies show that vegetarians suffer much less from illnesses like cancer, heart disease, high blood pressure and other common health problems. In ancient times many great Greek scholars including Plato, Socrates and Pythagoras supported a vegetarian diet. In India, all sages and saints preached the importance of vegetarianism . It is clear that meat has not been a component of the food of all human beings since prehistoric times. Jainism and some other religions say that soul is the entity that distinguishes living beings from nonliving objects. They also emphasize that the souls of animals are basically of the same kind as those of human beings and that all animals including the tiniest of insects are seen to avoid dangerous situations, painful experiences and death. No one can deny that an animal feels pain like a human being. Thus, like humans, all animals have the right to live. Therefore , avoidance of the killing of animals is the most important reason for a vegetarian diet. We should not kill any living being for food. It is a violent and selfish act which is totally unnecessary. Most men and women, vegetarians as well as non-vegetarians, find it hard to injure or kill animals. However, many people eat meat because of their lack of awareness of the process of production of meat. If people become aware of these facts, they may give up eating non-vegetarian food. Some people argue that the weaker and smaller animals are always the food of the stronger and bigger animals and that this is in accord with nature's law. This, however, is the law of animals, not the law of man. The teaching of Bhagavan Mavavira is: One should not hurt a living being intentionally or by negligence in the strictest sense. We are not to injure any living organism however small it may be, directly with our hands, by causing some one to do so on our behalf or by consent to the act of injury. Jccording to Jainism, meat is a breeding ground for innumerable living organisms - a fact supported by modern biology. Acharya Amritchandra Suri who lived in the tenth century has written: "The same is true of the eggs whether fertile or not". It is a fact that vegetarian foods also contain some living organisms. Suri who lived in the tenth century has written: "In the raw meat and in the cooked meat, innumerable living organism are generated incessantly. Thus he who consumes meat in any form commits violence against a large number of living beings." Jainism tells us that we can only limit violence and avoid unnecessary violence. Non- vegetarianism involves violence which is unnecessary and which can be easily avoided. Bhagavan Buddha placed immense importance on kindness and compassion towards all living beings. His teachings include the following: Not superstitious rites but kindness to servants and underlings, respect to those deserving of respect, self control coupled with kindness in dealing with living creatures, these and virtuous deeds of like nature are verity the rites that are everywhere to be performed. Scientists believe that the diet of any animal corresponds to its anatomical and physiological system. Men like other vegetarian animals have well developed salivary glands which are needed to pre-digest grains and fruits. The natural diet of man consists of fruits, nuts and grains, not meat. Then the question arises: When a human beings natural diet is a vegetarian diet, why do large numbers of people eat animal flesh? There is a variety of reasons for people having a non-vegetarian diet. Most people are concerned about their health and many people have the misconception that non-vegetarian foods are the only source of getting all the nutrients that can make them strong, healthy and active. A careful study, however, reveals not only that a vegetarian diet is good for health but also that a non-vegetarian diet is unnecessary and to some extent detrimental to health. Vegetarian diet is less expensive than non-vegetarian diet. The fact is that for every 16 pounds of grain and soy fed to meat animals, only one pound of meat is obtained. Comparatively, 16 pounds of grain and soy contain 21 times more calories and eight times more protein but only three times more fat than a pound of meat. This implies that vegetarianism is the answer to the colossal problems of population growth and world hunger. People have the misconception that hunger and malnutrition are caused by lack of meat. In fact, hunger and malnutrition are caused by lack of food, and, the insufficiency and high price of meat only aggravate these problems. The world produces enough grain, milk and milk products for all the poor and malnourished people. The tragic truth is that 80-90% of all grain produced in America goes for feeding meat animals. Presently, millions of acres of land is used for raising livestock for meat. This same land can be used more productively for growing vegetables, beans and legumes. Tbasic tenets of Jainism, nonviolence and truth are very essential for the physical and mental well-being of all man. Speaking the truth keeps one's conscience clear. It keeps our mind free from guilt and worries. This lessens strains and stresses and thus has a beneficial effect on the body too. Nonviolence is the basis for vegetarianism. All life is precious. All living beings have their place and role in the scheme of things. Thus we should protect and preserve life. "Survival of the fittest" might be nature's way but we should not interfere with nature. We should respect life. Man seems to be vegetarian by nature. Vegetarian diet appears to be more suitable to human anatomy and physiology. Recently, more and more people are realizing that vegetarianism is better for maintaining good health. 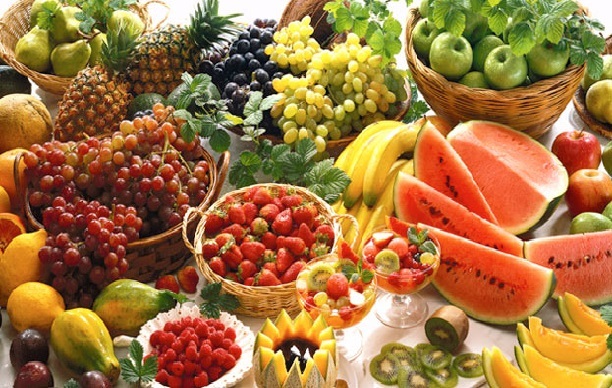 We should eat fruits, vegetables, grain, milk, and milk products. We should drink pure water and fruit juices. Our body needs food, rest and exercise. Let us eat natural vegetarian food, avoiding meat, fish, eggs,etc. Restraint in eating by way of fasting gives rest to our physical system and it is helpful. If we want to be healthy, young-looking and energetic, then we should follow the Jain path outlined above. It is the path of being as close to nature as possible. It is the path of moderation and restraint. Lot of people believe that eggs are a superior food to milk. There is a lot of confusion and misconceptions when it comes to nutrition and good eating habits. Nutrition is not just a matter of taking in the right amounts of basic building blocks or nutrients such as proteins, vitamins, etc. How you combine and consume these foods is perhaps more important than what you take. For it is not just the matter of taking the foods into your system but digesting them successfully to a point where your body is able to assimilate and absorb these vital nutrients. Nature always meant eggs to be 'life creating' and milk to be life sustaining. Just as a cow gives milk to the calf, the mother hen who lays eggs does not feed her eggs to her infants. And, who has heard of a calf being born from milk? Milk being liquid is easier to digest than eggs. Besides certain parts of eggs are never digested and therefore the body has to work harder to handle the eggs. Moreover, eggs have cholesterol. It is true that eggs have pound for pound more protein than milk but since eggs have no carbohydrates, this protein is difficult to digest. Remember dal is easy to digest if you eat it with whole wheat chapati or rice which has high amount of carbohydrates. 1. To protect their heart. Animal fat and high cholesterol diet may set a stage for heart disease. In some places where very little fat is eaten, the death rate from heart disease is lower than in other places. 2. To reduce the risk of cancer. Animal fat and cholesterol have been linked to some forms of cancer such as the cancer of colon, breast and uterus. The National Academy of Sciences reported in 1983 that "people may be able to prevent many common cancers by eating less fatty meats and more vegetables and grains." A vegetarian diet also reduces the risk of kidney trouble. 3. To control their weight. Apart from religious considerations, a vegetarian diet is healthier, more economical and better than a non-vegetarian diet. The high-fat, low-fiber content of meat cause cancer of brain, lungs, liver, stomach, intestines, pancreas and breast. Pork, beef, eggs, liver, shrimp, lobster, etc., have very high levels of cholesterol while in a vegetarians diet the cholesterol levels are very low. Farm animals are kept alive with hormones, tranquilizers, antibiotics and thousands of other drugs and chemicals. Some of these are cancer causing substances and are present in the meat. Jains are encouraged to filter water. The Jain religion also tells us not to eat at night. These things make sense. Water may contain some foreign substances and living beings which may be harmful to us. There are many more microorganisms in the atmosphere at night than at daylight. Some bugs or small insects may fall into the food at night and we may not be able to detect them. Eating such food may make us sick. The bugs may be poisonous. Also it is good for one's health not to eat after sunset as we should have a minimum of four hours between dinner and sleep. This way the food can be digested easily. Thus by eating early, we can minimize falling sick. Eating large amounts of food is not good for health. Thus to control eating, Jainism instructs us to fast or to eat only a limited number of times in a day. Apart from health reasons, the main idea behind fasting or restricting eating is to minimize the activities which involve hurting or killing living beings. From the above examples, we can see that thousands of years ago, Jains knew about the benefits of not drinking unfiltered water, not eating at night and not eating underground vegetables. We see that the Jain religion is scientifically based and conveys its principles in an effective way. Another aspect of nonviolence is morning and evening prayers (SAAMAAYIK). We minimize our physical and mental activities during these prayers. This helps us to avoid violence. It helps us to avoid anger, pride, greed, etc. It gives us peace of mind. We see that nonviolence is the basis of the Jain religion and that our activities are based around this principle. Mahatma Gandhi was a follower of this principle of nonviolence. World peace can be achieved by using nonviolence as our basic tool.